The number three… in various philosophies and religions throughout history and all over the world is sacred. The triad or trinity symbolizes completeness, perfection, entire and Divine. Indeed this third dream was Divine. Again, for the third time, an all-encompassing voice said, “Come with me I have something I want to show you”. 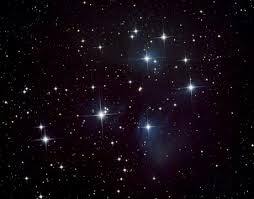 I was taken to what seemed like the deepest, darkest part of the sky, the universe, where the stars seemed like diamonds and there were millions of them. “I want to show you how much I love you”. With those words, a warm flood of energy, flowing slowly like lava flowed from the top of my head and throughout my body, healing as it flowed. It was love… more than I could ever have imagined, healing my mind, body and spirit of all of the lies that I had received and held on to. Not able to stand, I knelt. This is how much I love you. Tell the people to have faith in Me. I awakened from this dream new…cleansed and empowered. “If God loves me that much, what…who, shall I fear?” “What can I not do with God loving me like that?” This is what love can do. It is meant to honor and make whole. Love gives. Love renews. I awakened from this dream crying…like now. Amazed! Overjoyed! Overwhelmed with Love, God’s Love. I called my mom weeping, trying to tell her about the love…God’s Love. There was no way to express that Love in words, nor in feeling…because it is infinite. What I felt was no measure for what was. Anymore would have consumed me, I felt. I awakened from this dream wishing that everyone could experience this love that heals. “If only I could touch you and have you feel what I felt.” (my thought in my work as a Counselor) You would be healed of all the untruths, the hurt and pain. It’s not true…whatever they said of you; whatever you think of yourself. Why? Because you are most valuable to the Creator. I write this in honor of Dr. Martin Luther King Jr. whom we celebrated today, January 20, 2014. I’m sure he’d be happy to know that I too have a dream. As a child I hoped and prayed for world healing. I have a dream that all shall be healed, the brokenhearted and those with divers illnesses, mental and physical. I dream that soon we will see Jesus’ promise of miracles come true. It is because of Love that Jesus did his work. It is because of love that I do my work. It is because of love that I have this dream that you too shall be healed. divine healingMartin Luther King Jr.